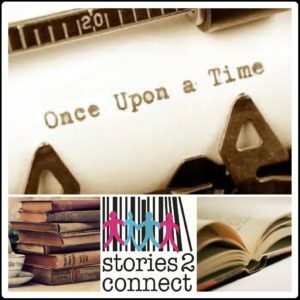 Once upon a time a group of young people met and decided their stories were important for other people to know about. Once upon the same time in a nearby place a group of academics came together and decided to bid for a lot of money to do a project about telling stories in the community. The young people and the academics had lots of meetings to get to know each other and to find out the best ways of asking other young people about their lives. They all learnt a lot about different ways of working. The young people went out and interviewed other people like themselves – with a bit of help from the academics. Two children’s authors came along and helped them all to think about how to tell a good story. The academics and young people tried to make some stories out of all the interviews they had done. They did this by putting bits and pieces together from what different young people had said. They also made up stories of their own. Then they had to decide how to tell the stories to people in the community. They worked with designers to create phygital things to put in places where lots of people would see them. One of these was an Arcade Machine that was put into a charity shop in the town centre. When you moved the lever on the machine you could see or hear a different story. When members of the public came along and saw or heard one of the stories, they felt sad and then happy as the story unfolded. They realised that some people face challenges in their lives that other people never think of. The young people and academics hope that lots of people will enjoy interacting with the stories and learn something new at the same time.